Who could fail to identify with Charlotte's brave little orphan who refuses to be crushed by her bullying cousins, her sadistic head-master, or even the domineering man she loves. 'Do you think, because I am poor, obscure, plain, and little, I am soulless and heartless?' she demands of Rochester. 'I am a free human being, with an independent will', she tells him and how we cheer as she goes on to prove it, refusing to be his mistress rather than his wife and rejecting the passionless St John Rivers. Charlotte Bronte (21 April 1816 - 31 March 1855) was an English novelist and poet, the eldest of the three Bronte sisters who survived into adulthood and whose novels have become classics of English literature. She first published her works (including her best known novel, Jane Eyre) under the pen name Currer Bell. Bronte's first manuscript, The Professor, did not secure a publisher, although she was heartened by an encouraging response from Smith, Elder & Co. of Cornhill, who expressed an interest in any longer works Currer Bell might wish to send. Bronte responded by finishing and sending a second manuscript in August 1847. 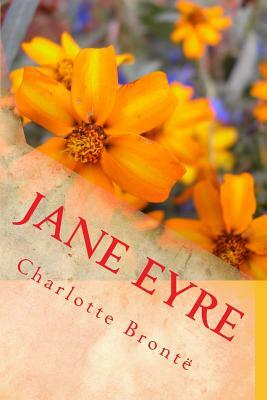 Six weeks later Jane Eyre: An Autobiography was published. Bronte became pregnant soon after her wedding, but her health declined rapidly and, according to Gaskell, she was attacked by "sensations of perpetual nausea and ever-recurring faintness." She died, with her unborn child, on 31 March 1855, aged 38, three weeks before her 39th birthday. Her death certificate gives the cause of death as tuberculosis, but biographers including Claire Harman suggest that she died from dehydration and malnourishment due to vomiting caused by severe morning sickness or hyperemesis gravidarum. There is also evidence that she died from typhus, which she may have caught from Tabitha Ackroyd, the Bronte household's oldest servant, who died shortly before her. Bronte was interred in the family vault in the Church of St Michael and All Angels at Haworth.